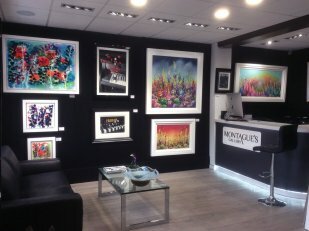 Montague’s Gallery is an award-nominated Hertfordshire art gallery. As one of the most comprehensively stocked art galleries in the country we offer a wide selection of original paintings and limited edition prints, bronze and ceramic sculpture and hand blown glassware. We represent some of the best known, prestigious and award-winning artists in the world of art and publishing including: Dale Bowen, Chris DeRubeis, Mark Grieves, Ben Jeffery, Mariusz Kaldowski, Lhouette, Leigh Lambert, Andrei Protsouk, Ben Riley, Edward Waite, and many more. Situated in Kings Langley High Street in Hertfordshire our art gallery is just half a mile from J20 of the M25, within easy reach from Berkhamsted, Watford, St Albans, Harpenden, Chesham, Amersham and surrounding villages. 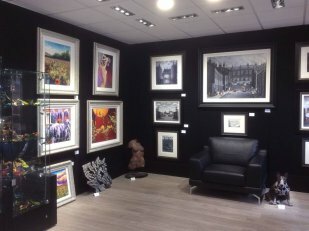 When visiting you will receive a warm welcome from our art consultants who will be on hand to help you choose the perfect artwork for your home or business. We hold many art exhibitions and events throughout the year. During these events art lovers have the opportunity to meet the artists, view their latest collections and buy art that has been personally dedicated by the artist.